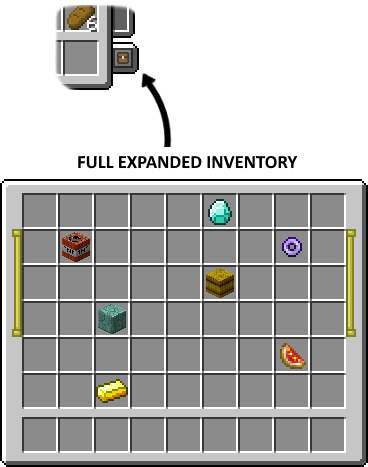 You need to consume Inventory Expanders to do it! We are ready to expand this mod. You can offer your ideas. I guess the answer is "no" but is there a way to make spawn this nice magic mushrooms please ? Excellent the last update, now my modpack works at 100%, delete the other similar mods that I had. I'll just use this one Keep going. Thank you so much. Could compatibility be added with the Trophy Slots mod? I've never had those issues. Hopefully Socol is able to add some compatibility between this and Trophy Slots. 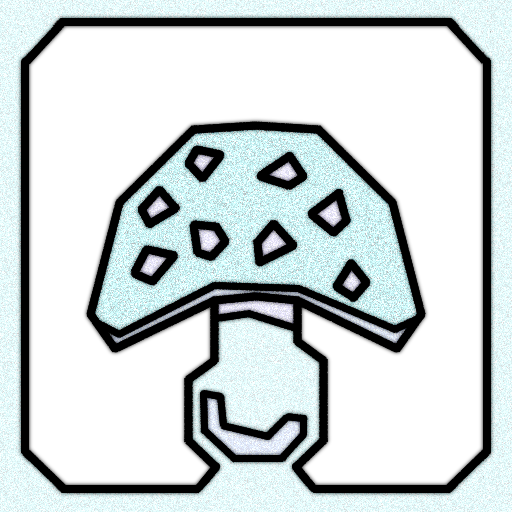 Could a mushroom be added that removes the last upgrade when eaten (IE eat it to remove Dragon, eat again to remove Ender, etc)? The max size inventory leads to a small scrollbar, and the option to revert to a lower inventory size would be appreciated. 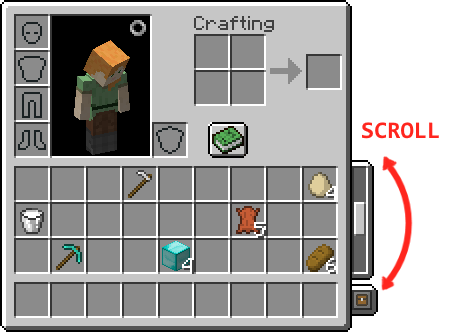 Hello, congratulations for this mod, I have always liked the mod related to the inventory, I apologize if you do not understand is that I use a translator, the drawback I have had with the mod is that I can not use the mouse wheel to move the inventory or the list of mod that is extensive, to see the recipes and articles use JEI and justenoughbuttons, if you can tell me something about it I thank you. Question, how do you get this mushrooms? can you disabled them? what is the max size of the invt expanded? Good mod, I have a problem using scroll to go through the list of mods, it does not move. Thanks for your answer, I uninstalled your mod and everything returned to normal, I guess it is a conflict in the assignment or function of the keys. Can you create issue with screenshots and detail information? 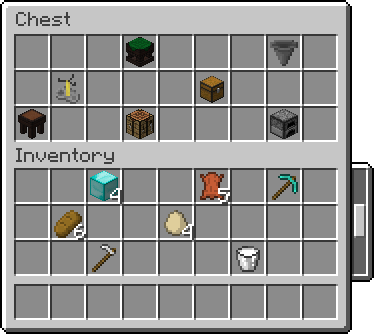 Hello, put your mod alone and scroll does not work to move the inventory, I must click to make it work. Very good, continue to develop and improve! To bad this mod isn't working on servers.